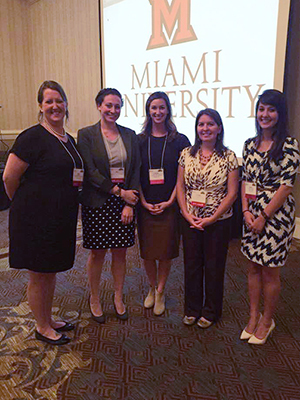 The Center for School-Based Mental Health Programs (CSBMHP) at Miami University operates within the Department of Psychology. Center staff, faculty, graduate and undergraduate students, and community partners are involved in research, consultation, and clinical service initiatives. An important goal of the CSBMHP, in existence since 1998, is to build collaborative relationships with schools and community agencies to address the mental health and school success of children and adolescents through the promotion of expanded school mental health programs and services. The intent is to promote the development and implementation of effective programs to enhance healthy psychological development of school-age students and reduce mental health/behavioral health barriers to learning. As a university-based center, CSBMHP is committed to ongoing applied research, pre-service education of future clinicians, in-service training of educators and mental health professionals, and direct clinical and consultative service to school districts and community partners. Read more in the February 2017 CAS press release Dept. of Psychology takes initiative with improving mental-health among children.